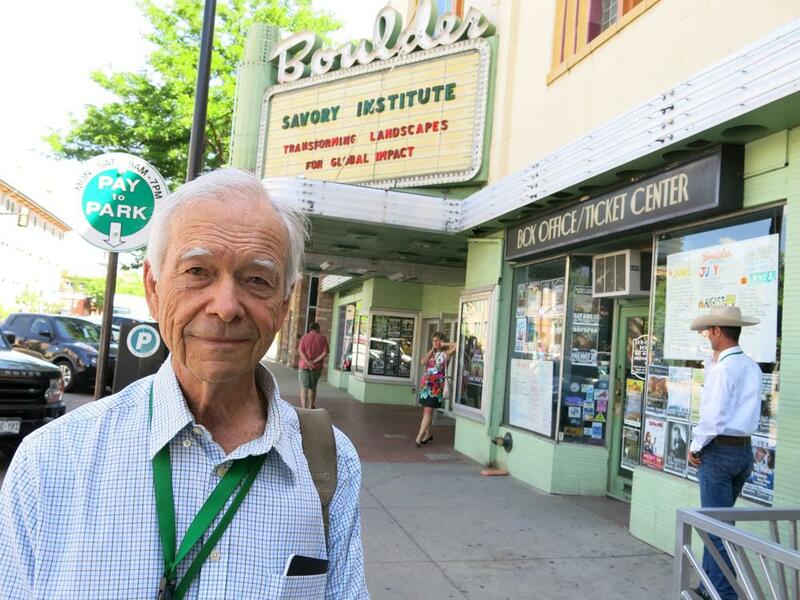 Allan Savory, known as the godfather of holistic grazing, pitched his ideas at the Boulder Theater in Boulder, Colo., recently. Within the ranching community, Allan Savory is a polarizing figure. His supporters adore him, claiming his grazing method, known as holistic management, will revive the world’s quickly degrading grasslands. Holistic grazing involves keeping cattle in tight packs, using their hooves to make soil more able to soak up rainfall. But his methods have been lambasted by rangeland scientists who call it unsupported, unscientific and inconsistent. Savory gained a new following with a TED talk that went viral earlier this year. One big claim from his talk was that his grazing method could restore grasslands, which could in turn act as sinks to reduce carbon in the atmosphere. The problem Savory is trying to address is degradation of the soil on the world’s vast grasslands. Many sections of the world are in danger of becoming hard-packed desert. Savory touts the benefits of tightly-herded packs of cattle, moved quickly to mimic wild herds. He says hoof movement on the soil allows it to retain more rainfall. “It’s only because we’re making the rainfall more effective and that just simply means we’re getting the rainfall that falls on the ground to soak in more, runoff less, but to remain in the soil and leave the soil through the vegetation or to underground water,” he said. A ranch in Colorado run by the Nature Conservancy is experimenting with some of Savory’s ideas. He says there are pitfalls to conventional grazing methods, like ranchers relying too heavily on memory.